Join us for the 4th annual Downtown Chocolate Escape! Join us for the 4th annual Chocolate Escape in Downtown Winchester as we will be serving a deep fried Triple Chocolate Chimi Changa with Chocolate Ice Cream and homemade chocolate whipped cream! We have most of our drywall up and just laid a beautiful red oak hardwood floor! We just put the first coat of finish down so it won't be long now! We are drawing close to a reopen date and will be sure to let everyone know when we have an exact date. We will be hanging drywall this week and beginning the final stages shortly after! We will be closed on December 25th to enjoy the holiday and hope that you do the same! We appreciate your patronage and look forward to seeing you when we resume normal hours on Monday at 11am! 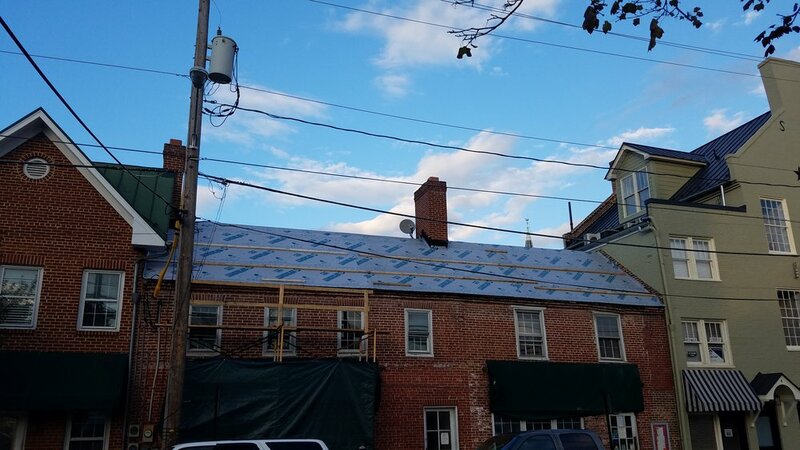 Roof Renovation is nearly complete! support and patronage of our west side in the meantime! 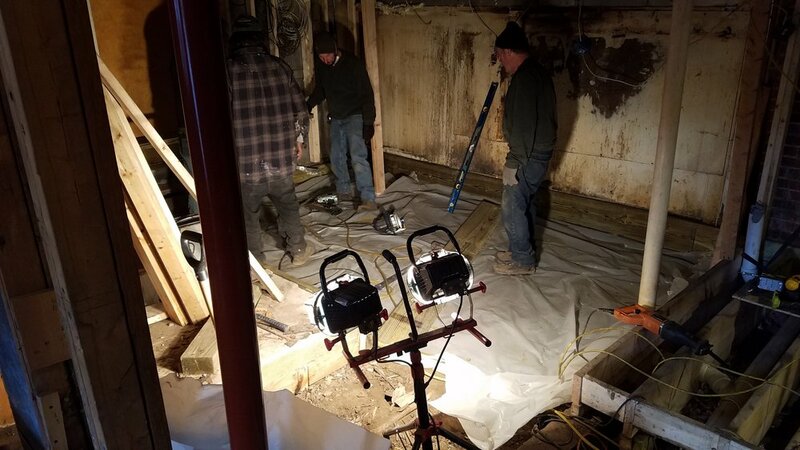 Anthony, Anthony Jr, Terry, and staff have been putting in some hard time to get our old side back to us as quickly and efficiently as possible! 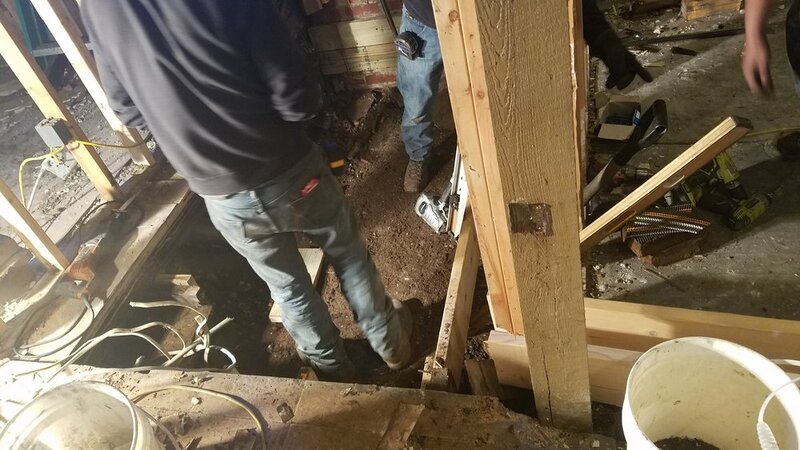 Installing new plumbing and floor trusses! New plumbing on this section almost ready! Getting ready to lay down new floor trusses. New base to the floor is looking good! 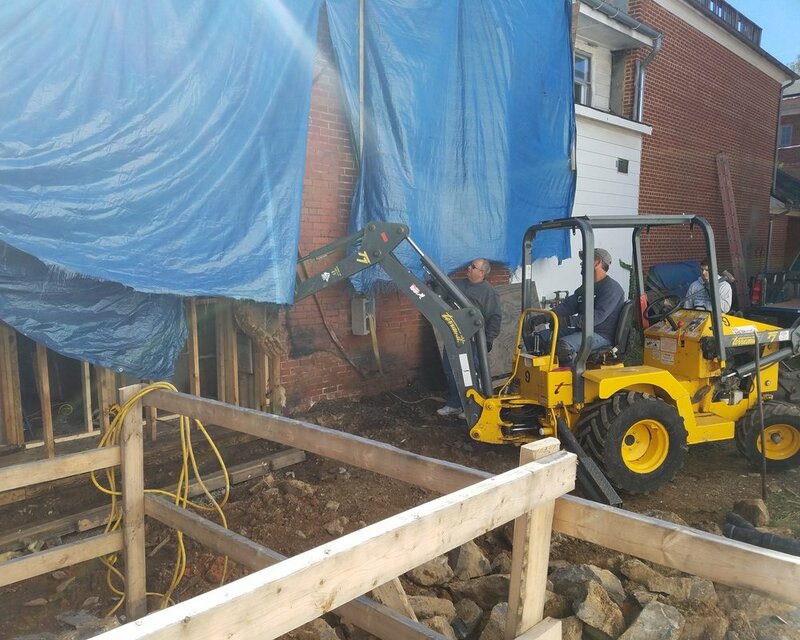 Shown here is the progress of our service station started anew from replacing the floor trusses to new plumbing and wall trusses! Stop in tonight, November 28th, and grab some to-go Hot Chocolate or dinner before/after the Christmas Parade tonight! Parade starts at 7pm with the tree lighting directly after. Dress warm! 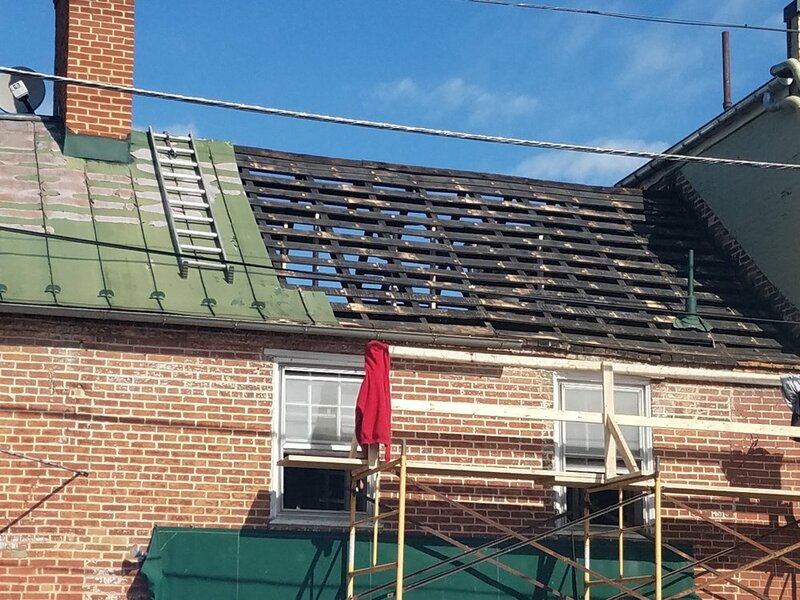 Here are some photos from our recent work on the old side after the fire! Check us out on Instagram, Facebook, and Twitter for updates and specials!